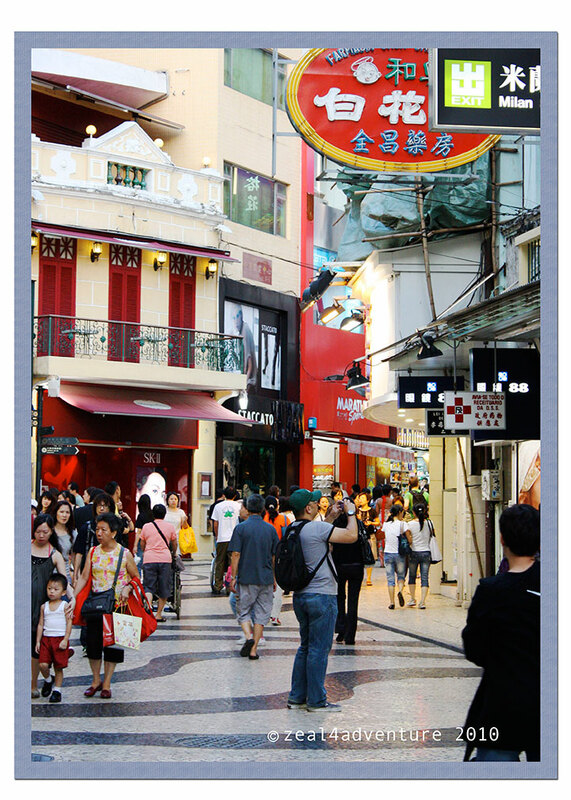 In Macau. Not only is the center an urban area with an old city, it is a World Heritage site to boot. 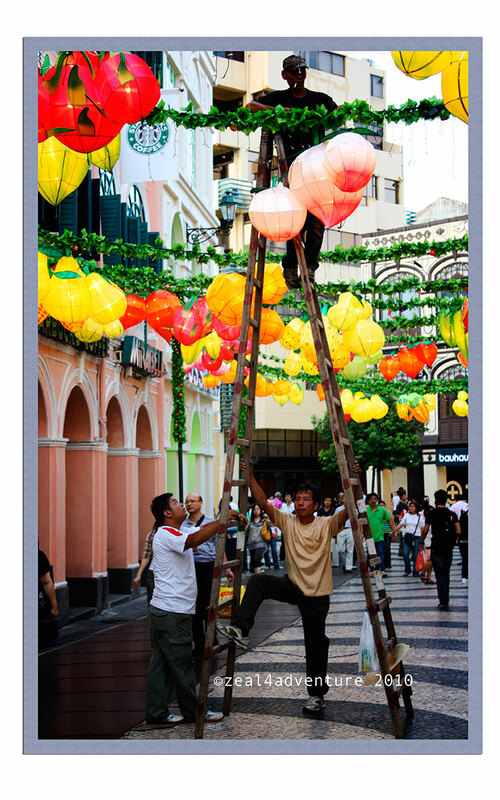 Inscribed on 25th July 2005 by UNESCO, the Historic Centre of Macau is a product of cultural exchange between East and West. It could be the oldest, most complete and consolidated selection of European architectural legacy standing intact on Chinese Territory. The center spans 8 squares but 2 hours will only allow for 3 squares, a ruin, a church and a whole lot of eating and window-shopping. From our hotel, we walked all the way, passing casinos, to our first square. I would have loved a photo of an empty square to showcase the cobble-stoned grounds with exquisite black and white wave patterns. Not to mention the pastel colored neo-classical buildings flanking the square on all sides giving it a Mediterranean atmosphere. But Senado will not be Senado if it was not busy (at least on both times that I’ve been there). 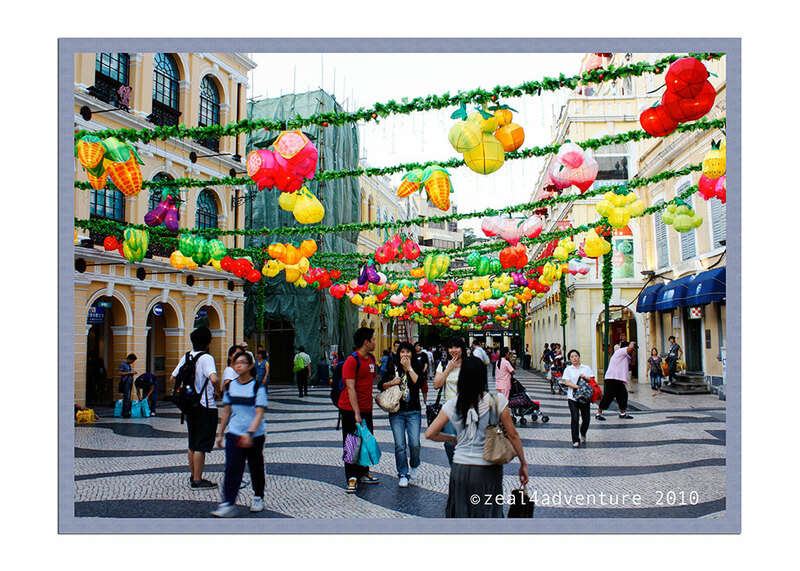 It has been the center of Macau since the square was built sometime in the 19th century. 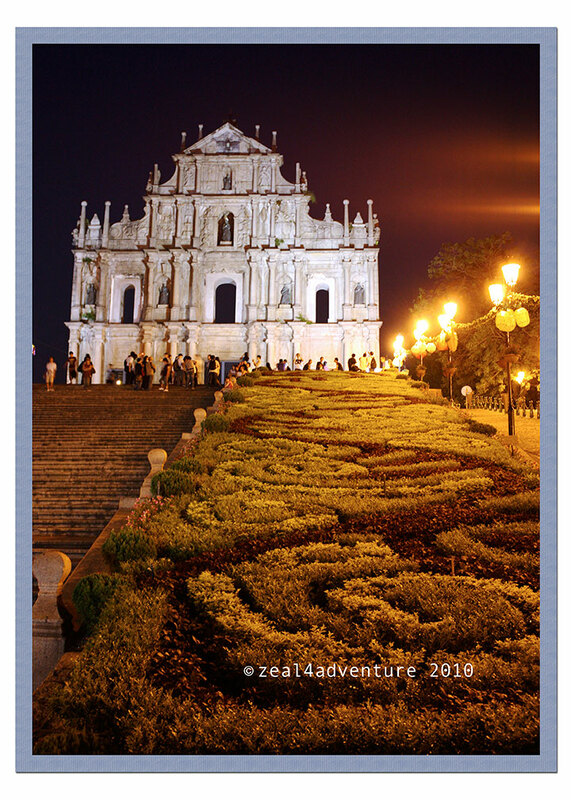 From the main road to the church of St. Dominic’s, the pavement extends and eventually leads to a different kind of city – the cathedral of St. Paul’s, now in ruins located on top of a hill, making the stroll a paradise with so much eye candy. 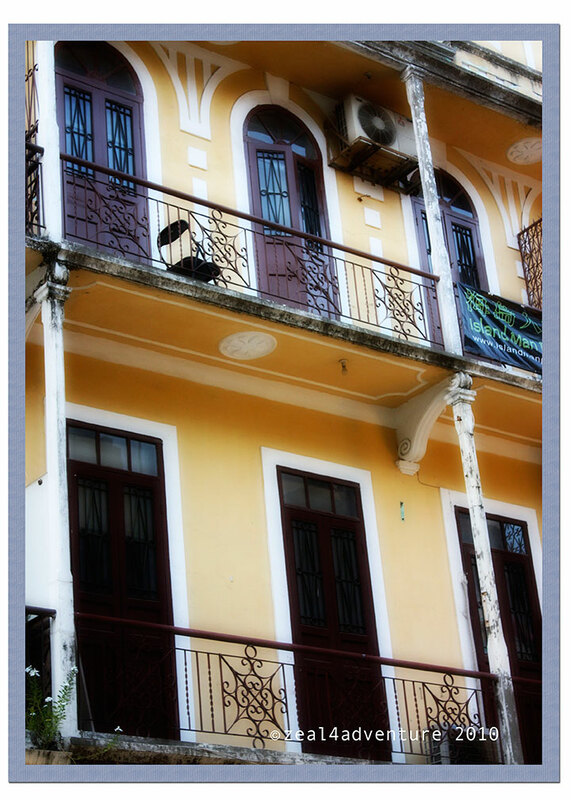 Not too far from Senado Square is St. Dominic’s Square. 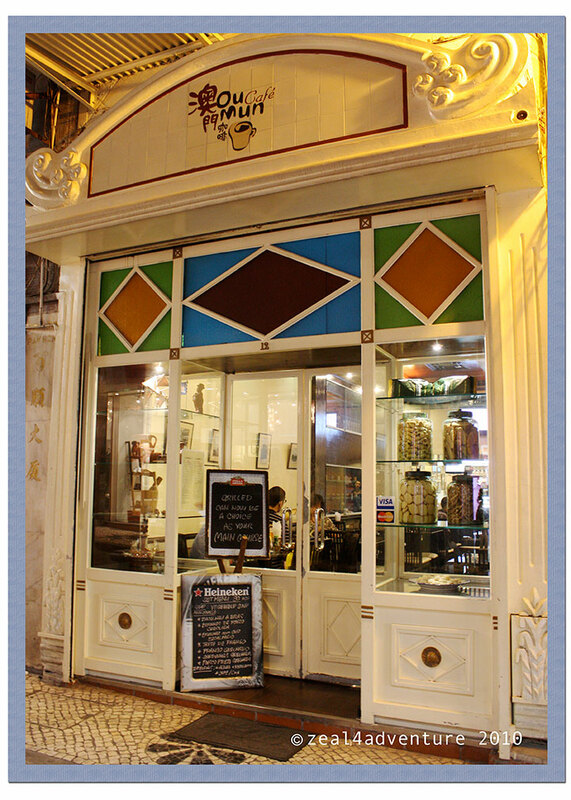 It is one of the most popular squares because it is close to where the shops and little food vendors are. 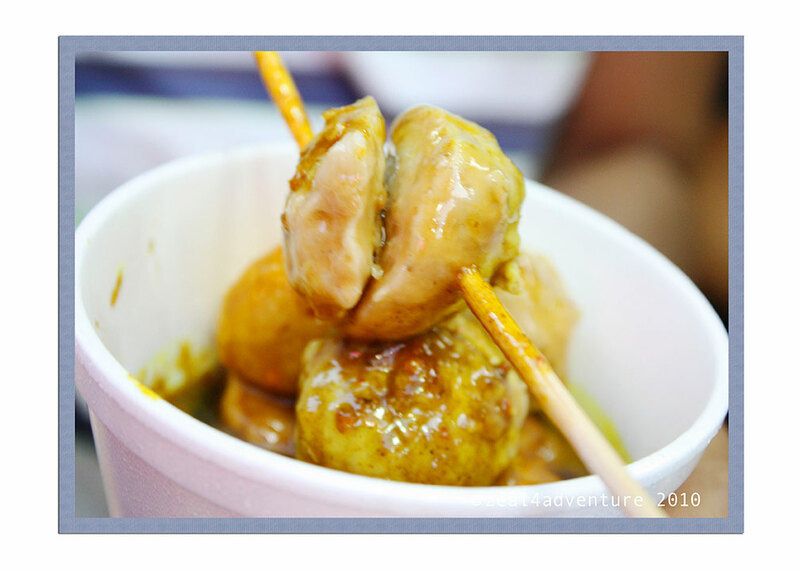 It was fun strolling through the shops gobbling through these tasty fishballs in satay sauce. 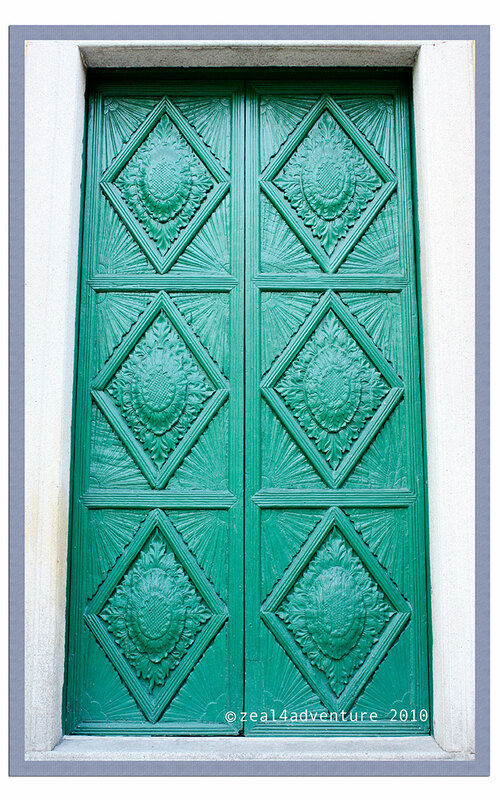 Standing on the square is an imposing façade of cream-colored stone with white stucco moldings and beautifully designed green doors. The first church ever built in China; Dominican priest, originally constructed from wooden slats, built St. Dominic’s Church in the mid 16th century. A far cry from what we see today. The church has an interesting past swathed with drama and violence. A military man was murdered at the altar during Mass because he supported the Spanish against the Portuguese. 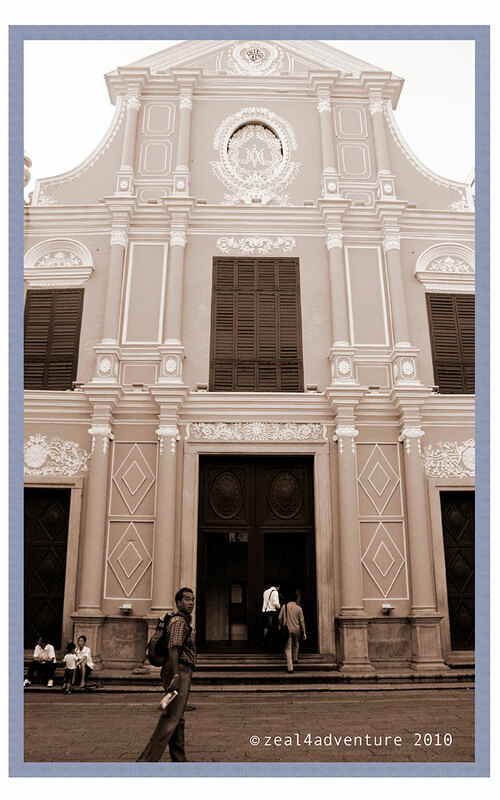 There was also a time that the Dominicans sided with the Pope against Macau’s bishop. When local soldiers tried to enforce an excommunication order on them, the friars locked themselves in the church for 3 days. In 1834 the monastic order was suppressed and for a time, the church was used by the government as barracks, stable and office. On our way to the ruins of St. Paul’s, we entered a small alley brimming with more little antique and food shops. You’ve gotta taste these babies! 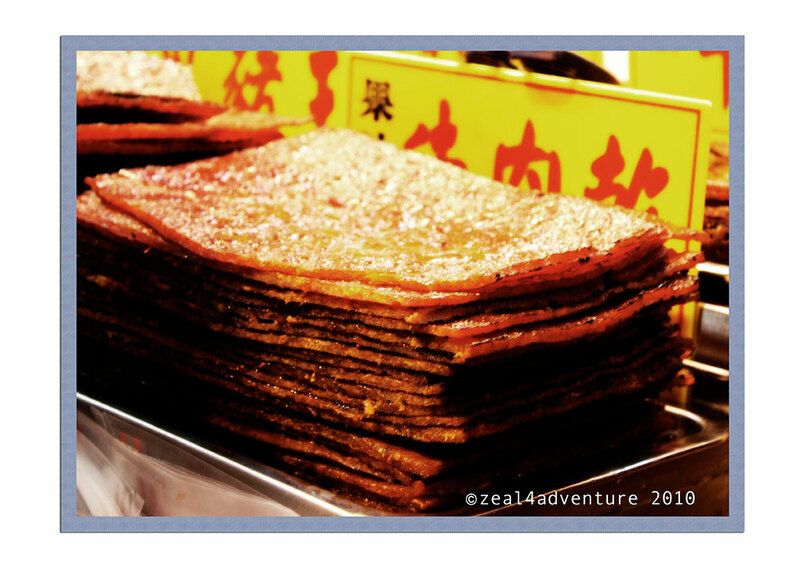 One that caught our eye was this food shop selling dried pork and beef fillet similar to a jerky but so much yummier. A small storefront extends really deep inside. 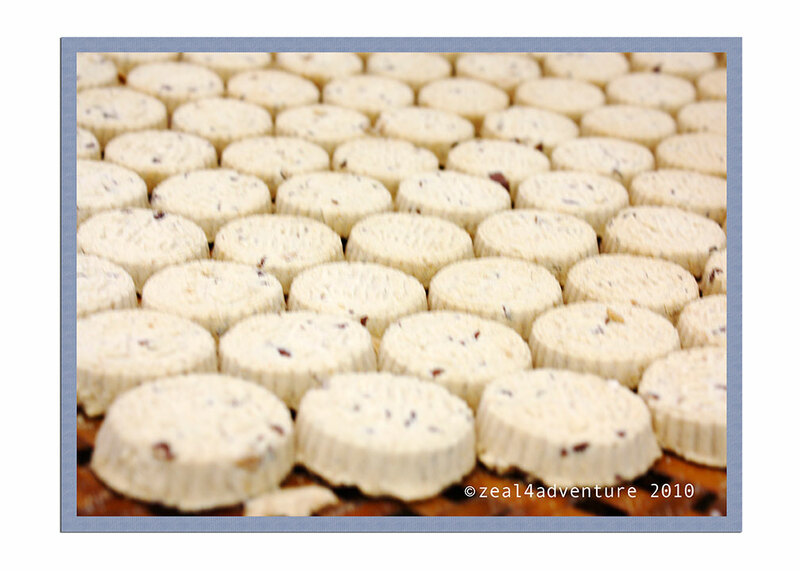 The biggest attraction though appeared to be their almond cookies. 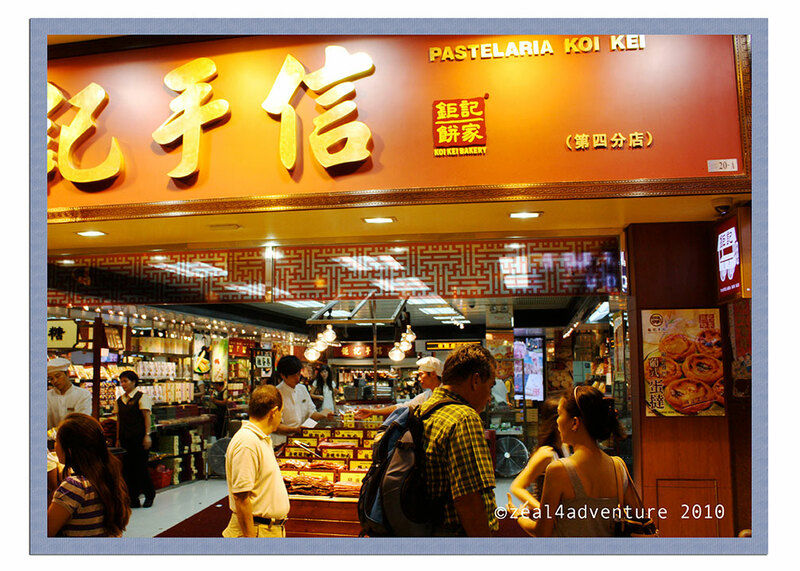 Tracing its roots back to a cart selling only crunchy peanuts and ginger candies, Koi Kei put up its first store in 1997 and today it has gained recognition as the “most popular food souvenir” champion in Macau. 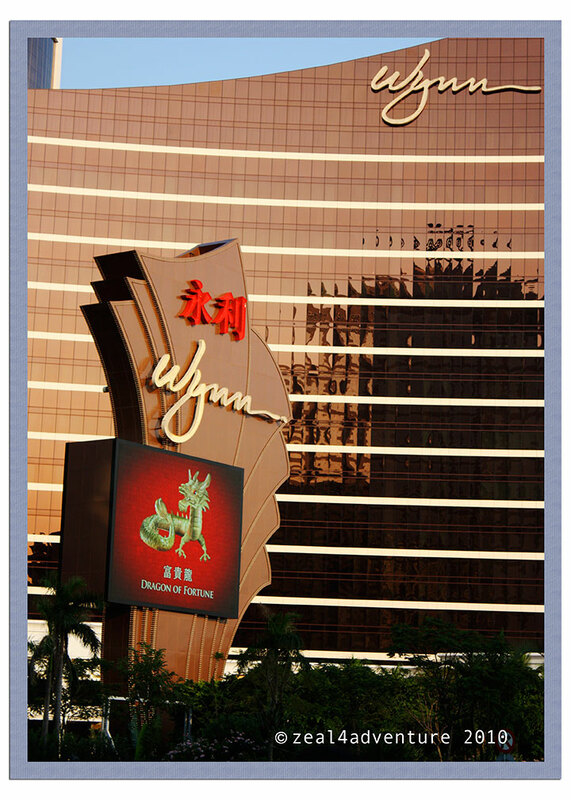 Like us, many bought items to take a taste of Macau home with them. Sampling some egg rolls as they make ’em! Great way to entice people to buy! 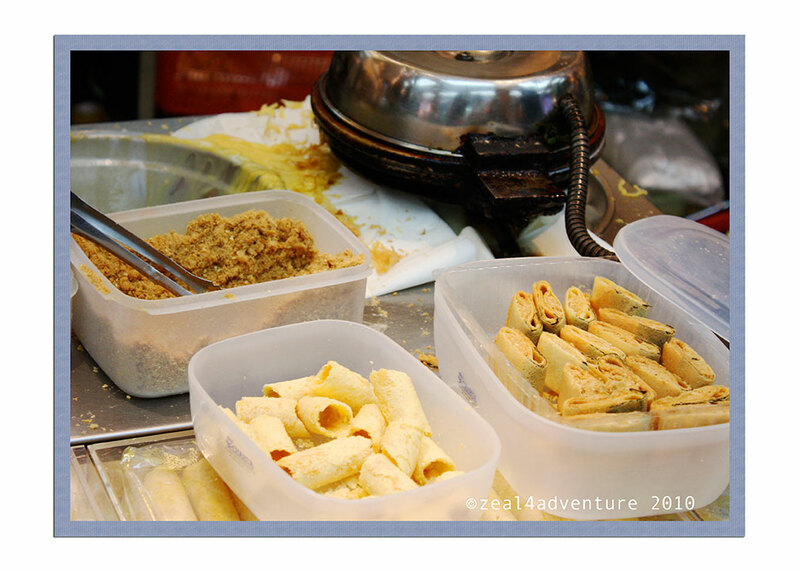 From peanut candies to almond cookies and egg rolls, Koi Kei Bakery is currently selling more than 300 varieties of products – almond cookies, egg rolls, crunchy peanut candies and the dried beef and pork fillet being among the more popular ones. On our way back to our hotel, we passed another route and found ourselves in another square. 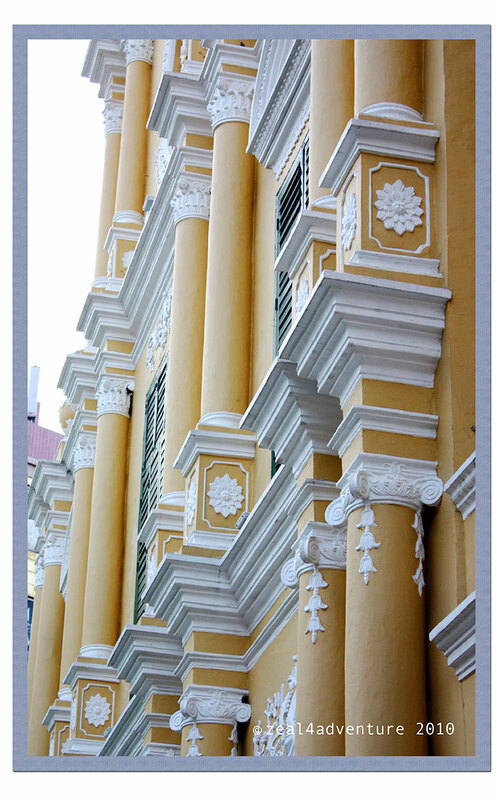 The façade of the Cathedral is simple but when lit at night, it transforms into something grandiose. 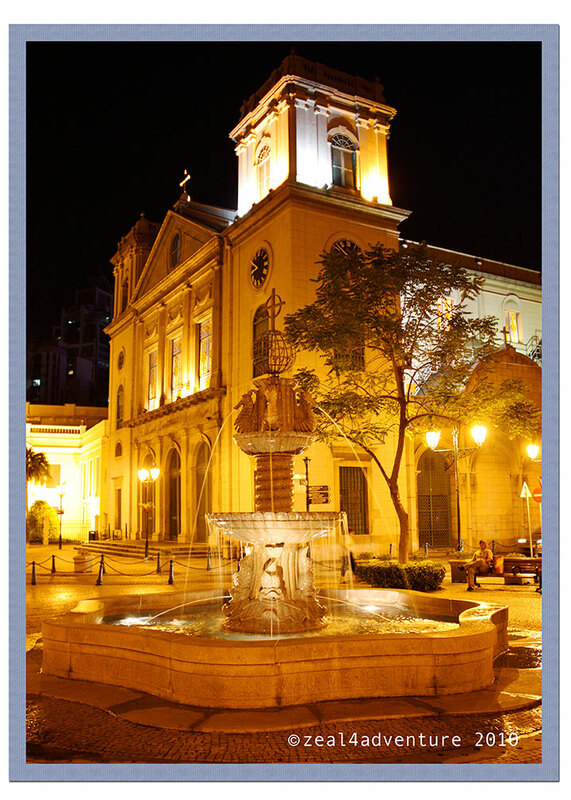 The present building stands on the site of several previous cathedrals, the original was the Church of Our Lady of Hope of St. Lazarus. The first stone Cathedral, consecrated in the mid 1800s was almost destroyed in a typhoon 24 years later. Extensive repair was done. In 1937, the church was completely rebuilt. 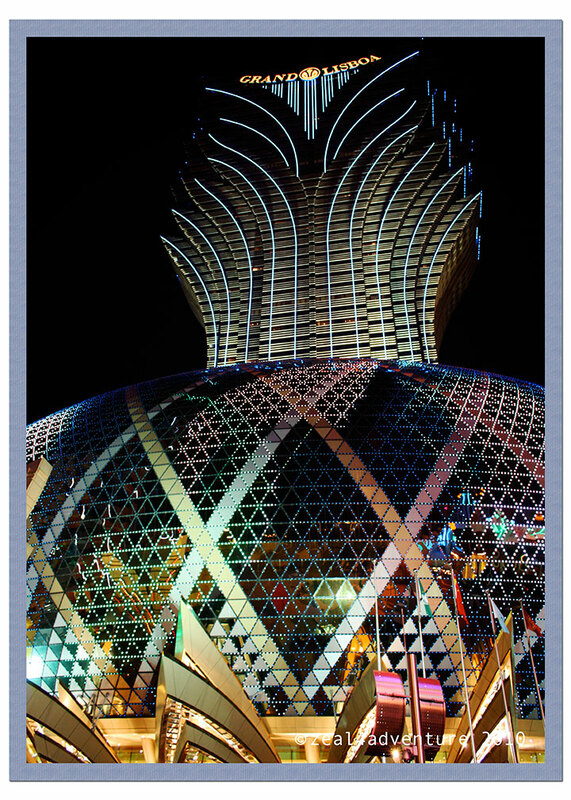 Macau is not all about the gambling, you gotta admit though, they do add character to this urban area in an old city especially at night! 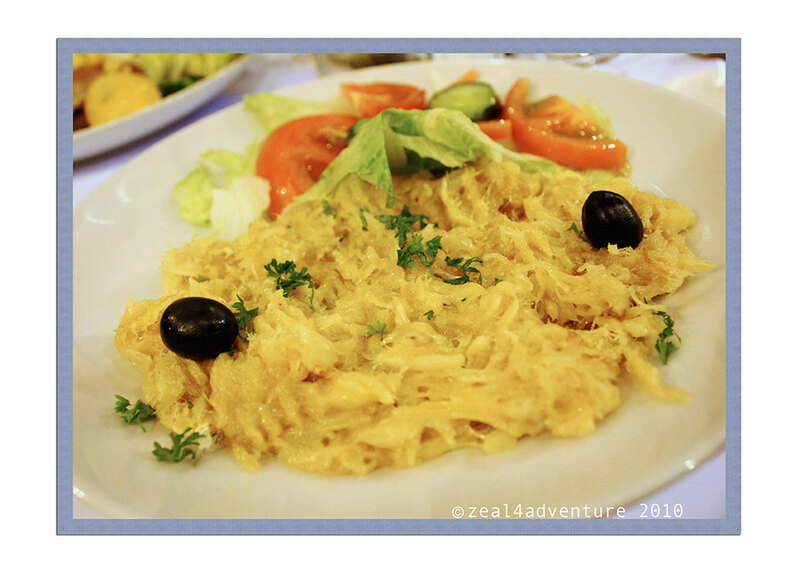 Thanks for the wonderful tour with all your lovely photos. I love the decorated squares, so colorful. Wow, what beautiful and intersting photos! I do feel like I went on a little trip. I wish I was there in person. So beautiful! You have such a wonderful eye! Love coming here! I’ll be back! What an amazing post! I learned a lot about your area. I love the photos and enjoyed the interesting captions. Oh wow that is a pretty shots in there. Happy SS! Mine is up.